Ed Kormondy led UH Hilo from 1986 to 1993; his seven-year tenure at the time marked the longest term for any chancellor since UH Hilo became a four-year university in 1970. University of Hawaiʻi at Hilo Interim Chancellor Marcia Sakai announced today the passing of former Chancellor Edward J. Kormondy, who died April 28, 2018, at his home in Los Angeles, Calif. He was 91. 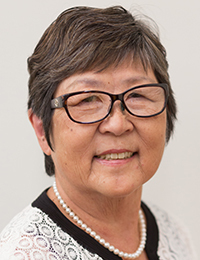 Kormondy led UH Hilo from 1986 to 1993 after serving the previous four years as vice president for academic affairs at California State University, Los Angeles. His seven-year tenure at UH Hilo at the time marked the longest term for any chancellor since UH Hilo became a four-year university in 1970. As chancellor, Kormondy compiled a lengthy list of accomplishments, including a large increase in enrollment, which grew from 1,594 in fall 1986 to 2,953 in fall 1993. Major outreach centers were established in Hawaiian language, the study of volcanoes, native Hawaiian childhood development and small business, and the first college course was conducted via interisland television transmission. He oversaw construction of the Hale Kehau dormitory and dining complex, which opened in 1989, and the opening of the UH Hilo University Park of Science and Technology the following year. He also presided over the separation of UH Hilo and Hawaiʻi Community College in 1991. 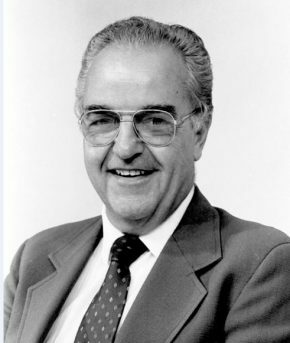 Kormondy became a regular donor to the UH System in 1987 and created an endowed fund to support professional development of faculty and staff at UH Hilo. He also helped to endow the Frank T. Inouye Endowed Scholarship Fund established in 2003 in honor of the university’s first director and was a trailblazer in helping to raise funds for the scholarship, which supports UH Hilo students pursuing a degree from the College of Arts and Sciences. A celebrated author, Kormondy teamed with Inouye to write The University of Hawai‘i-Hilo: A College in the Making. The book chronicles the history of the institution, spanning a period in excess of 40 years beginning in 1952 when Inouye became director, and concluding with the end of Kormondy’s term in 1993. He has also written and contributed to more than 70 other publications, including books on academia, biology and ecology. In addition to UH Hilo and Cal State LA, Kormondy served in administrative and/or academic roles at UH-West O‘ahu, University of Michigan, Oberlin College, the University of Pittsburgh, Evergreen State College, the University of Southern Maine, and Tusculum College in Tennessee, where he was a trustee and acting president. He most recently served as president at the University of West Los Angeles. Kormondy received a baccalaureate degree in biology from Tusculum College, and master and doctoral degrees in the same discipline from the University of Michigan. Kormondy is survived by his partner Noriaki Nakano, his children Lynn Kormondy, Eric Kormondy (Janet), and Mark Kormondy (Susan), his grand and great grandchildren, and sister-in-law Shirley Kormondy. Based on his wishes, no memorial service is planned and the family gathered privately to scatter his ashes. In lieu of flowers, donations may be made to carry on his education legacy in the Kormondy-Hedrick Scholarship in the Life Sciences at Tusculum University, Alumni Office, P.O. Box 5040, Greeneville, TN 37743, or in another scholastic charity.